No party is complete without a popcorn machine! That’s why we offer popcorn machine rentals, either with your bounce house rental or by itself to accommodate for any kind of party you’re having. Renting our popcorn machines with a bounce house is just $50, while renting just the popcorn machine itself is $75. Visit the Contact Us page for any questions. NEW! 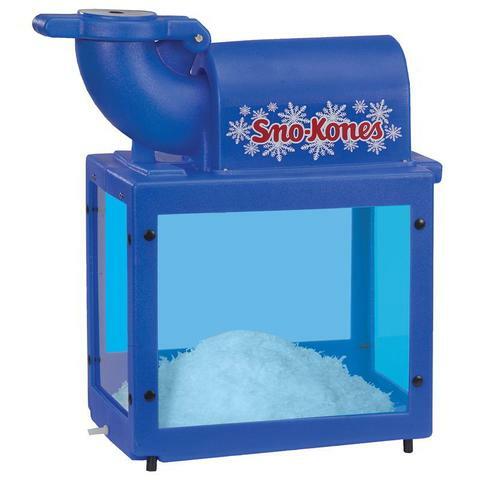 We now offer Snow Cone Machine rentals! Rental is $40 with bounce house and $60 without, ice not included. 1 lb of ice makes 3 snow cones. Syrups are $12 each (gallon size makes 200 snow cones). Flavorings available are grape, cherry, watermelon, & blue raspberry. This is a commercial level snow cone machine which will shave up to 500 pounds of ice per hour to keep everyone cool and refreshed on those hot days! Snow cone machines are great for pool parties, birthday parties, fund raisers, school carnivals, and much more!